Expectations: Very high. I’ve wanted to see this for years, even more so after seeing The Red Shoes a couple years back. Black Narcissus is a great movie. It’s not one I loved, or one that I was especially taken by, but there’s no denying its greatness (especially in terms of cinematography). One of the most sexually tense films I’ve ever seen, Black Narcissus is an astounding achievement, even if its story is a little too melodramatic at times (even for me). I can only imagine what audiences of the day thought of it; I’m sure it lit up the screen like few other films of the era. Although, looking over the Academy Awards for that year, I’ve only seen 2–3 of the films, so perhaps I’m not the best judge of 1947 films! Black Narcissus is about a small group of nuns tasked with setting up a school and a hospital at a remote, mountainous location in the Himalayas. The site was originally where the Indian king housed his harem, which isn’t of much concern to the nuns when they first arrive, but over the course of the film it would seem to have an effect on them. That’s not to say they all become nymphomaniacs or anything like that, but the nuns do begin to show chinks in their armor of faith, and the original purpose of the building housing their newly formed convent is one of many factors contributing to this degradation of their beliefs. Expectations: High, but cautious. I’ve heard lots of great things. 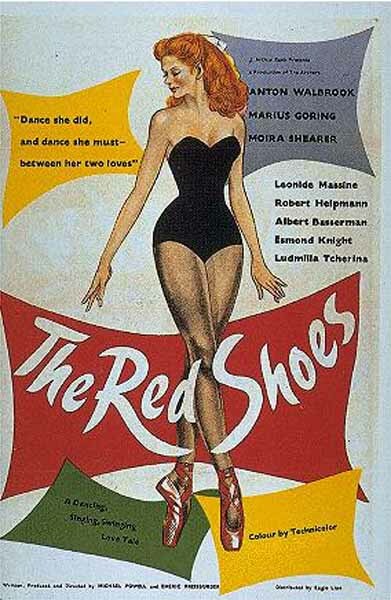 The Red Shoes is one of the classic films that I’ve purposefully neglected for no good reason. The title never enticed me and I’m not a big ballet fan, so I always figured I’d get to it later. After seeing Black Swan a couple of months back, my interest level was raised quite a bit, as that film was able to make me not only enjoy the ballet aspects, but make me feel like I had been missing out on a great art form. So when The Red Shoes passed into my hands through no effort on my part, I figured now was the time to check it out. Simply put, it’s incredible. From the cinematography to the lighting to the acting to the dance, every aspect is carefully utilized and crafted for maximum potential. This is the first film I’ve seen by the noted team of Powell & Pressburger and boy does it make me interested to see some more of their work.